Em turned 10 a couple of weeks ago. It's been a time of reflection. Get your act together, this is normal, this is just what having kids is. It will all come together. Stop trying to breastfeed, it's making your child hungry and is literally driving you insane. Bond with that baby and love her no matter what. Do whatever it takes to do that, the rest will work itself out. Realize how strong and capable you are. Start enjoying her, she's lovely. She'll be big before you know it and she'll love you so much. Accept the good times and the bad, they all pass. Have some time for yourself, the baby will be ok. Embrace being a mother it's the best thing you'll ever do. Let go of who you were, you'll never be that person again, but you'll be bigger, stronger, wiser and more alive. Make some friends and get some help. Don't take on too many things, being a mother takes up a lot of time and that's ok. Forget what everyone else is doing and saying, no-one has ever mothered YOUR child before. When you have 2 kids, you still find the strength to manage. What would you say to your New-Mum-Self if you had the chance? I love play that doesn't have a specific outcome or result. Play that's just play for the sake of it. Open-ended play allows kids to take an activity exactly where they want it to go. This usually means that they will take it where they need it to go developmentally. Kids will often naturally, instinctively engage in the kind of play they need to help themselves along or process what's going on around them. The other great thing about it is it let's kids be just right there in the moment. Nothing is expected of them, nothing needs to be done, they just get carried away in creative bliss. What a nice state to be in. Start a box of craft materials that can be used for open ended art impulses! 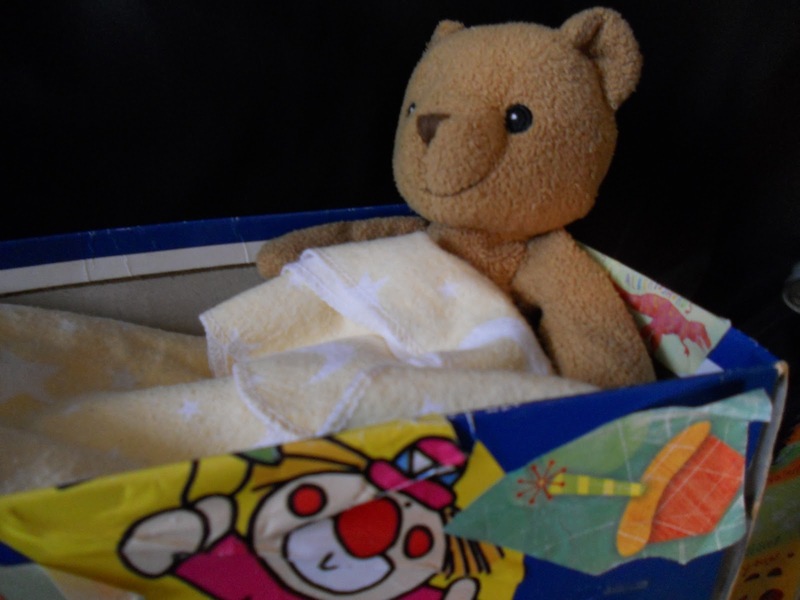 Playtime: Don't Get Rid of Those Soft Toys - They're Actually Good for Development! When Em was born, I couldn't believe how many soft toys we got as gifts and I remember thinking at the time - what on earth are we going to do with all of these? Well, fast forward almost 10 years and our soft toy collection has at least quadrupled in that time and doesn't look like shrinking any time soon! Soft toys are great for development. Their sweet little faces and soft furry ways help encourage empathy, compassion and caring. 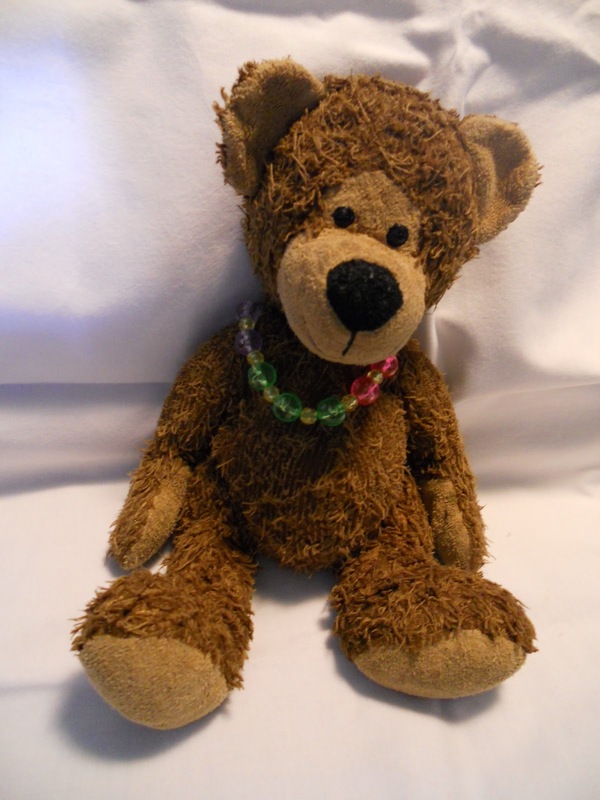 They can also be a reassuring source of comfort for a child who is feeling sad or insecure. There are plenty of ways to encourage soft toy play. Have a basket of 3 or 4 accessible for baby play time. Choose toys that do not have any loose bows or buttons that can fall off. It's great if the toys have smaller limbs or a tail that baby can grab and hold onto. Remember that babies will always put toys in heir mouth so make sure no bits of fur or fluff can come off. Baby will practice using her fine motor skills grabbing her soft toys and will feel happy and secure looking at friendly, kind faces. She may also enjoy kissing and cuddling the toys and older babies might even start to like to feed them a bottle or some pretend food. You could also add a soft baby brush so she could brush her fur. Soft toys are great play companions for toddlers. They can be put into bags, prams, boxes, carts, baskets and ride on cars and taken out again. This is one of toddlers' favourite things to do. A toddler will play out social situations with her soft toys and help to look after them. This works on her empathy, compassion and caring skills. Playing out social situations also helps your toddler to make sense of her social world and her place in it. Preschoolers and older children will enjoy constructing entire imaginative worlds for their soft toys. Your preschooler will perhaps start by making voices and acting out a role using the toy. With this kind of play, the toys are the centre of the imaginative process. They will need props or accessories which can be created by your child, bringing in the possibility of a range of art and craft activities too. Over the years we have made teddy jewellery, back packs, shoe box beds, tissue box cars, school books, invitations, hats, clothes, just to name a few. Your preschooler or older child will work on his social and emotional skills during this kind of imaginative play activity. He will play out social situations he has been in and will use the toys to play out different outcomes. By giving his toys different personalities, he is learning to look at situations through other people's eyes and reinforcing what he knows about caring. 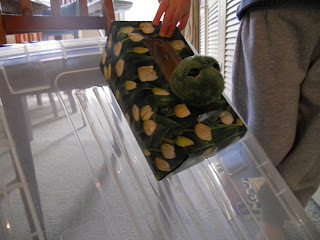 Making and creating props and accessories for toys works on fine motor skills as well as literacy and numeracy skills. A homemade shoe box bed - Good night! 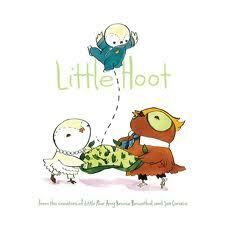 The kids and I have just been enjoying this great book called "Little Hoot". It's written by Amy Krouse Rosenthal. Like most little people, Little Hoot doesn’t like bedtime. What makes this story a different is, in the world of owls, children don’t go to bed early. Little Hoot doesn’t like bedtime because he has to stay up too late! He hates staying up late, he's tired. He doesn’t want to play all night, he wants to go to bed early like all his friends. "No" says mum, "you need to stay up for one more hour!" This is a lovely, fun book. There are lots of little quirks in the way the book is illustrated and the language used is playful and sweet. My kids love this story because it’s the opposite of what they always say. It makes my 6 year old giggle at the thought of Little Hoot liking the opposite to what he likes and it makes my 9 year old stop and think about the role of perspective in defining our experience of things. Pre-schoolers will love the mixed up world the owls live in and if you’re lucky, they might even pretend to be owls and enjoy an early bedtime, even if it’s just for one night! I love articles like this one from Kerri Sackville from The Age on the weekend. We should all be as honest and reflective as parents. Kerri talks about how she spoilt her third child and now regrets it. She has seen the error in her ways and vows to make amends. We all make choices as parents and sometimes we make them for the wrong reasons. Kerri sums this up in such a frank and poignant way. It’s definitely worth a read. This next article made me think about parenting teenagers. It seems like a hard gig, I’m not looking forward to negotiating it. It’s written by 19 year old Steph Bowe and gives advice from her perspective about the mistakes parents make and what young people need from their parents. I know it seems the world has changed a lot since we were teenagers but I’m not sure teenagers have changed that much. They seem to want the same things we did – time, love, understanding, someone to be there. I hope I can remember that when I’m on the receiving end of irrational hormonal screaming just a few years from now! I'm back here again after (another) break. I thought I was maybe done blogging, but something keeps pulling me back and I feel the need to explain my absence a little before I start off again. When Ed was around 2, he looked at me one dinner time, took a deep sigh and said "Mum, I'm full of carrots!" He'd just had enough. He'd always loved carrots and had eaten loads of them in his 2 years and on this day, he'd had enough. He had a litlle break and started enjoying them again of course, but I was just thinking the other day about why I hadn't been around these parts at all in the last 6 months and suddenly realised that last year, I was full of writing. I wrote heaps last year. I wrote for PP, for my blog and for a magazine a friend was working on. It was great and I really enjoyed it at the time, but when I sent my last article into PP in August last year after banging out 3 in one month, I just felt tired and full and I needed a rest. I wasn't sure if or when I would be back, but I didn't panic, I just let nature run it's course, knowing I'd hit this keyboard again if and when I wanted to and guess what, now I do! I have reservations, I was actually nervous about starting back. Is anyone still interested in what I've got to say?